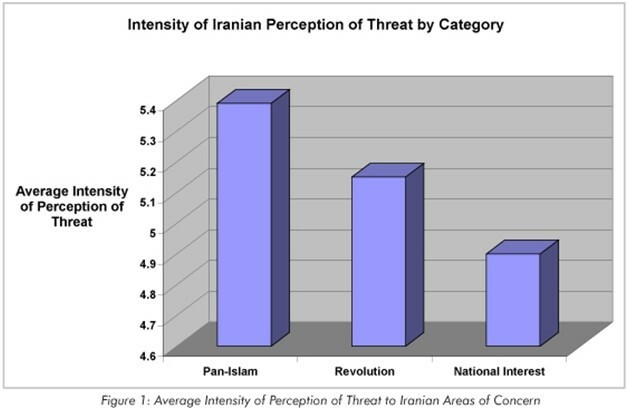 In Figure 1 demonstrates that Iran perceives threats to pan-Islamism and the Islamic Revolution with greater intensity than threats to its national interests. 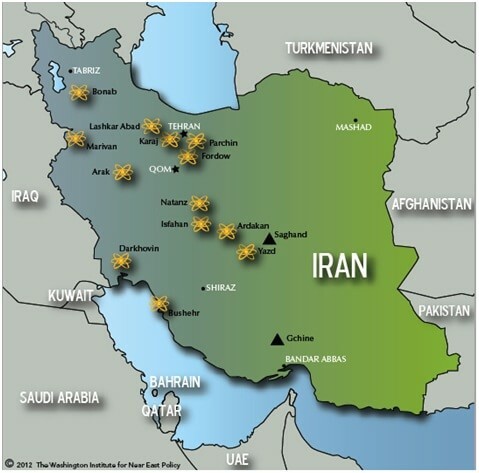 These include regional hegemony in the Persian Gulf, establishment of a sphere of influence around Iran, and prevention of a renewed threat from Iraq. 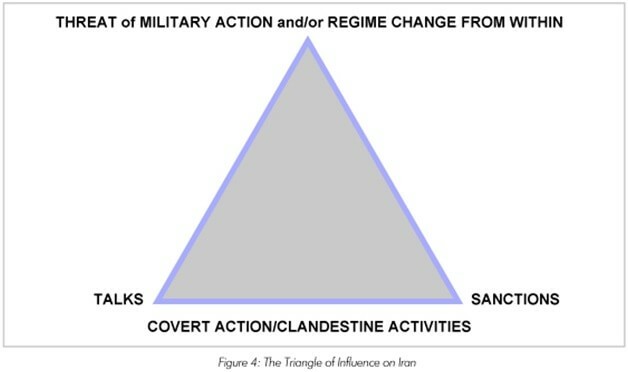 While ideological imperatives and national interest considerations may be pursued at the same time, assume for the moment they can be separated enough to determine their relative impact on Iranian decisionmaking. 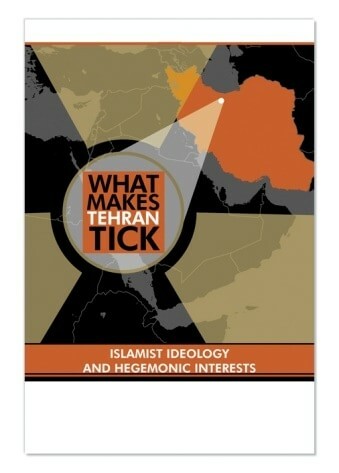 In this respect, a primary conclusion of the Iran Policy Committee (IPC) book from which Figures 1-3 derive, What Makes Tehran Tick, is that Tehran is more motivated by its Islamist ideology than by its national interests. 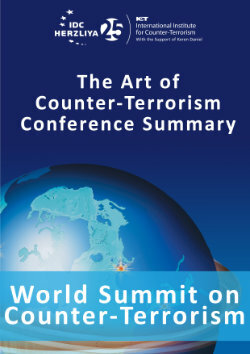 The Center for Strategic and International Studies wrote, “The National Council of Resistance of Iran (NCRI) revelations about Iran’s secret nuclear program did prove to be the trigger point in inviting the IAEA into Tehran for inspections...” And such inspections led to negotiations between Iran and the major powers. 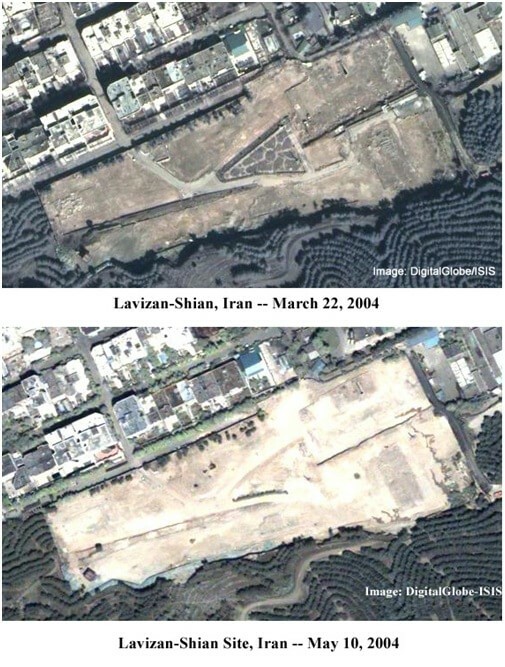 Left image: 5 February 2000 Qum site. The tunnel entrances have not yet been built. 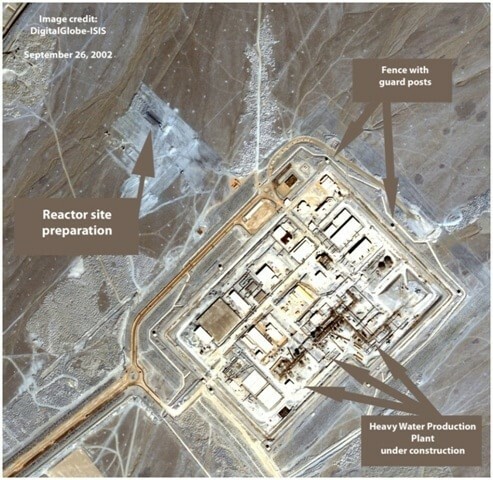 Right image: 6 June 2004. 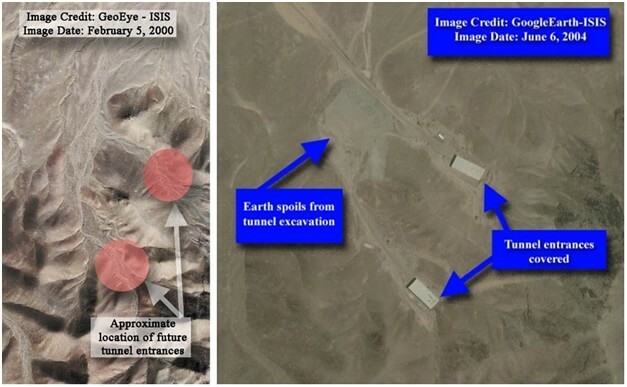 Two covered tunnel entrances and pile of earth spoils can be detected in the image. 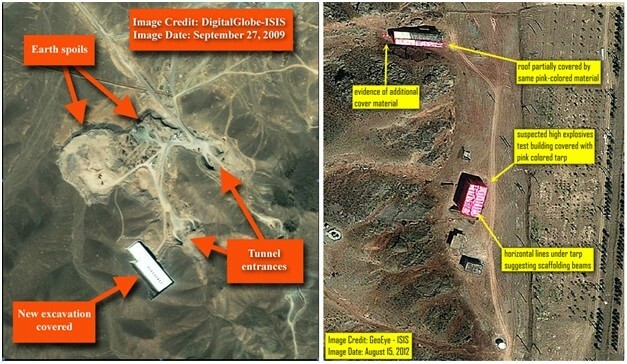 Left image: DigitalGlobe image of the Qum site in June 2007. 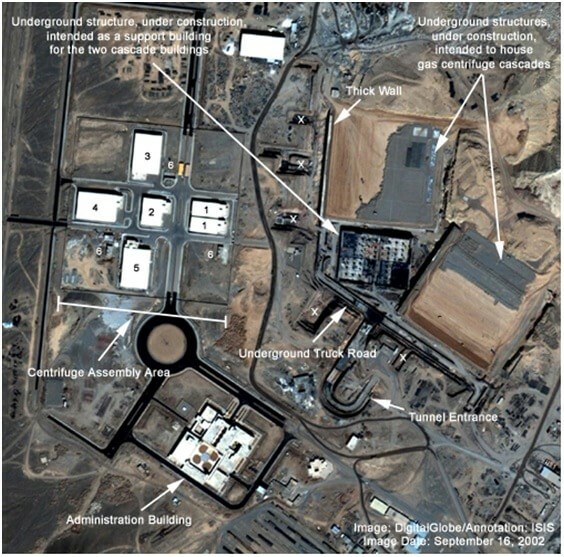 Construction materials may be seen adjacent to tunnel entrances and at construction staging areas. 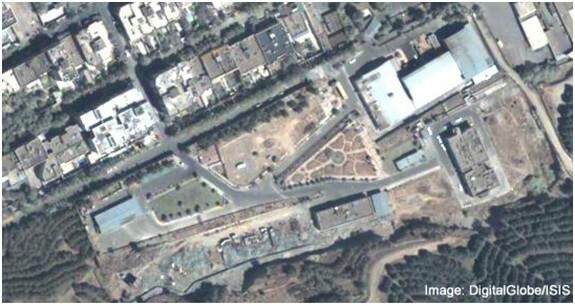 Right image: Image from DigitalGlobe of the Qum site in January 2009. 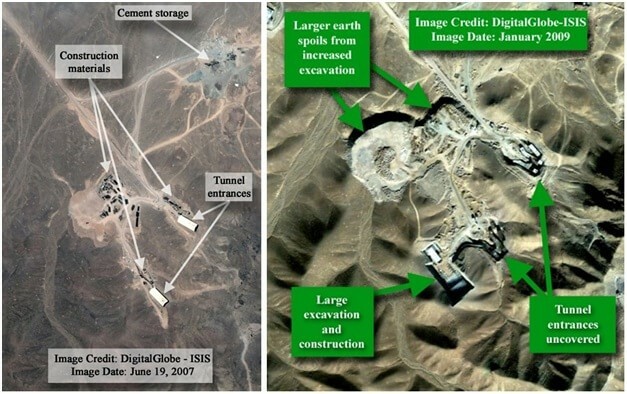 There is much more construction and excavation activity two years later.